Gerrus offers the best heavy-duty one-time or repetitive restroom clean up service in New Jersey, Staten Island, NY and Pennsylvania. Since 1974, we have been providing the best professional, experienced, cost-effective bathroom cleanup, lavatory cleaning and complete janitorial services. 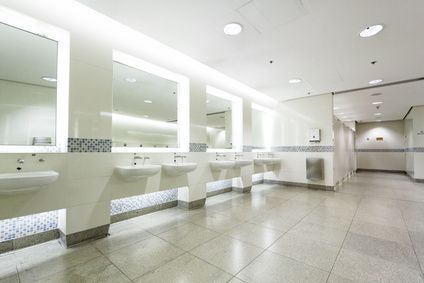 We clean and sanitize restrooms, locker rooms and breakrooms in all types of industrial buildings, from warehouses to offices to manufacturing plants, to pharmaceutical facilities. Gerrus provides one-time or repeat janitorial services to meet every industry’s needs. Our experienced chemical engineer-managed staff offers technological expertise and unmatched quality control, no matter how difficult your requirements. Full service restroom & lavatory cleaning. Sanitizing in NJ, PA & Staten Island NY. Complete janitorial services since 1974.